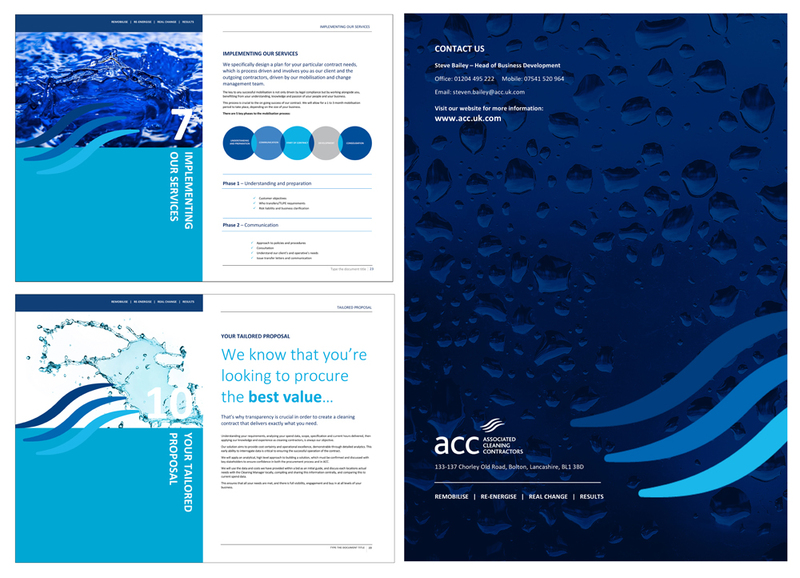 We have been working with north west based cleaning company ACC, to help them formulate their offering. As part of this. we have created a new sales presenter for them, which uses water, or tools of their trade. 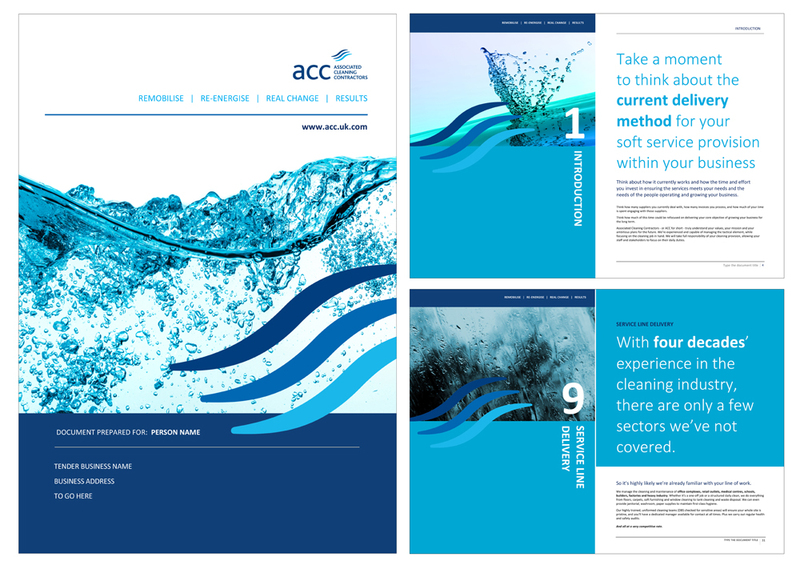 ACC are a company with a long heritage, who are now looking to ‘make a mark’.